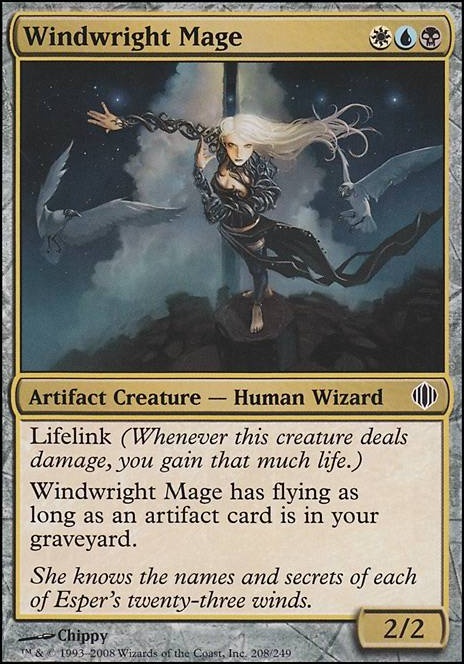 Windwright Mage was only printed at common, would Scornful AEther-Lich, Sludge Strider, or Tower Gargoyle be acceptable replacements. 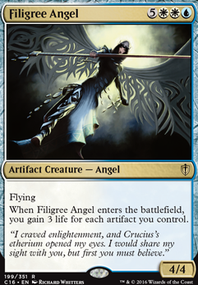 Or does your playgroup not care if a commander is common or uncommon? Windwright Mage deserves a spot on this. Windwright Mage Stormscape Battlemage Tower Gargoyle are where I would probably start, probably try to reduce your average CMC though that may depend on the speed of your meta. To save space No Life? Guess I'll take yours. has most of the suggestions I'd give for possible replacements. 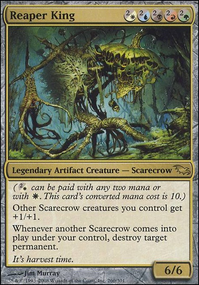 My own Oloro deck is creatureless Oloro - So I heard you like creatures? and is just there to annoy my playgroup... if you wanted to take that route. 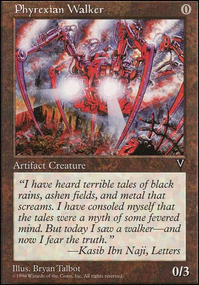 Tezzeret, Agent of Bolas seems like a natural fit. I'm not sure how much I love Windwright Mage, it just comes across as a Wind Drake. I think i'd rather have a Qumulox or Myr Enforcer. Lotus Bloom seems a bit strange here too. If it works for you though, more power to you. I like the setup here. Feels very "different". Hope it works out well. Brewers are great. 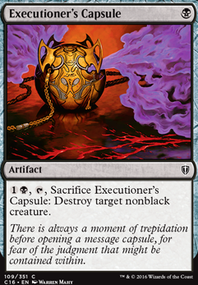 Nobilior a lot of cards from Esper had really cool art. a few more: Ethersworn Shieldmage, Sanctum Plowbeast, Spell Snip, and Windwright Mage.